One day I was googling pictures of baby otters (as you do), and I found myself staring at the small face for a while thinking, "This reminds me of someone." Digging into the recesses of my mind, it came to me. THIS OTTER IS JUDI DENCH. And so it began - honing in on the gift and skill of identifying doppelgangers. "EXCUSE ME, IT'S DAME JUDI DENCH"
ED SQUARED! SMILE, SHEERAN! I NEED YOU DARLIN COME ON LET ME KNOW. Once when I was very sick in the throes of pregnancy hormones growing a child, my loving husband said, "Don't move. 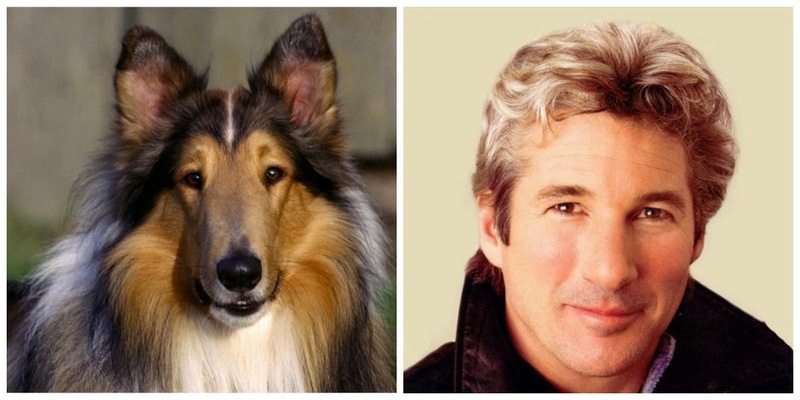 You look exactly like that rooster from Looney Tunes." Because nothing says I love you like telling your spouse you are the spitting image of Foghorn Leghorn. One time in college on a slow Saturday afternoon, my roommate Laurel and I watched Sofia Coppola's confectionary take on Marie Antoinette. Upon finishing the film, we were filled with inspiration and thought it wise to spend what very little money we had on cheap drugstore makeup in an attempt to recreate the looks of the time period. The best part about this is that we didn't even think of the mayor until after the fact - and my weird scarf ribbon even looks like his spider bow tie. BRILLIANCE. Our family's bull terrier, Charlie + Anjelica Huston (Anjelica Huston of the Smash-era, not The Addams Family era, OBVIOUSLY). 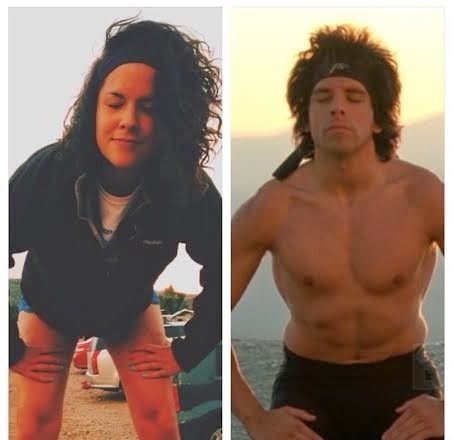 MY LITTLE SISTER AND BEN STILLER AS TONY PERKIS FROM HEAVY WEIGHTS (I can't take credit for this one - Camille's friend Chelsi identified this, and it's COMPLETELY AMAZING). 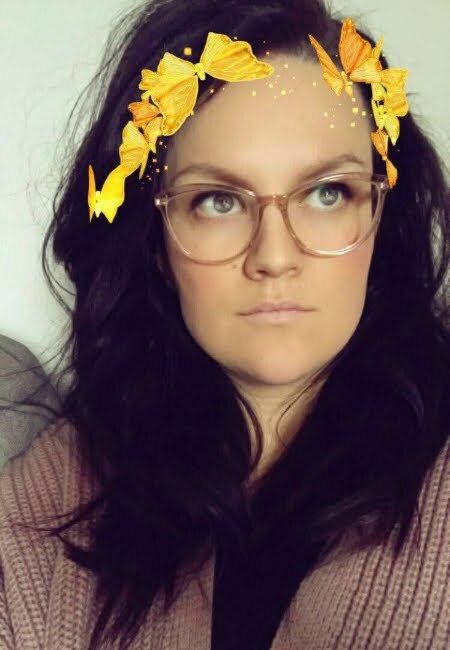 Do you look like a cartoon or an animal or a weight loss camp villain? I have to know. Well, you already know that the internet has made it abundantly clear that my dopplegangers are Chinese politicians or Elton John. So good for the ego. Please send me a side by side so I can update the post with it. Only because I like you. You need to work for Buzzfeed. Stat. I once had to see a gynocologist in urgent care that looked like the spitting image of John Kerry. Not who you want hanging out down there. It was disconcerting, to say the least. HA. Love it. Also, I agree with Lauren re: the Buzzfeed comment... I laughed more at this than some of their cheesy lists. "Nothing says 'I love you' like telling your spouse they are the spitting image of Foghorn Leghorn." HA!! I have to find a way to get paid for this ;) such a lucrative career, I am sure!